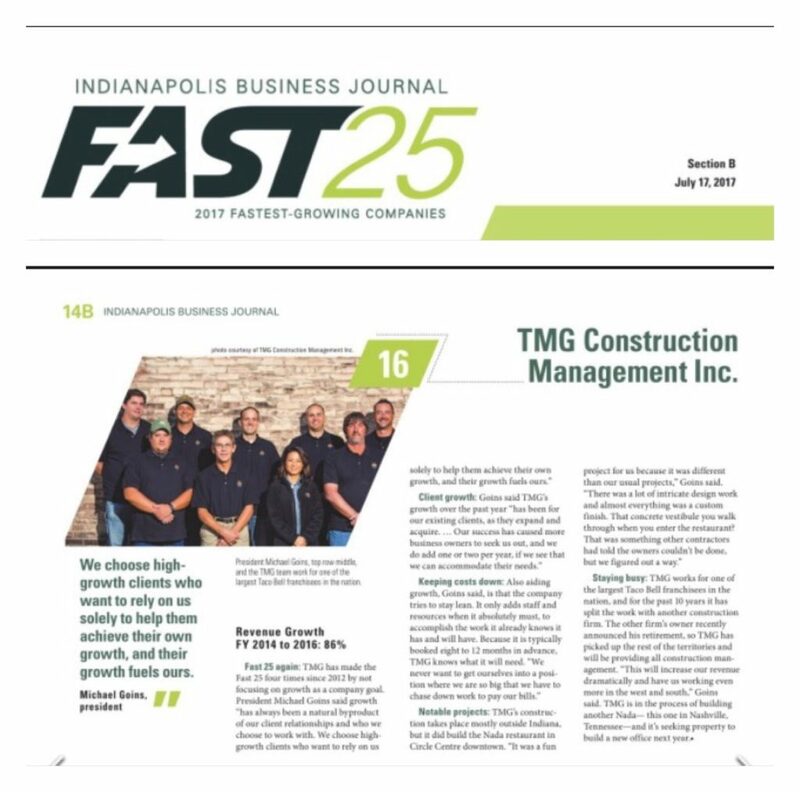 Press: 2017 IBJ FAST25 List | TMG Construction Management, Inc.
We are proud to have again been named to Indianapolis Business Journal’s annual list of “Fastest Growing Companies” in the Indianapolis Area. This year’s ranking is based on total revenue increases between 2014-2016. This is the fourth time that we have been named to this list within five years. This entry was posted in Indiana, News. Bookmark the permalink.